We've been mandated by the man in charge of ICT, delta state polytechnic Otefe Oghara to inform all prospective ND aspirants whose names where not in the merit admission list of delta state polytechnic 2018/2019 to do the following if they must be admitted into delta state polytechnic Otefe Oghara 2018/2019. 1. 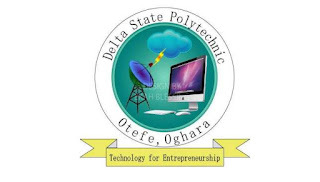 Applicants whose names where not shortlisted in the Merit admission list into delta state polytechnic Otefe Oghara 2018/2019 should endeavor to upload their O/L results (Waec/Neco) to jamb site for authentication by Jamb officials. This can only be done by Jamb accredited centers only. The reason for this is simple, jamb over the time has discovered that alot of persons are into the business of looking for a way to maneuver their way through, as a result of this, they've decided to checkmate this by asking all ND applicants to go through a compulsory task of uploading their O/L results which can be done in any jamb accredited cafe or centers. 2. Applicant are further advice to follow the proper procedures of checking their admission status by following the link below. 3. Applicants whose names were not in the merit admission list should exercise patience as subsequent list will be released next week. If this post has been helpful, please do well to share with your friends.